Anton Vlad, Entertainment Arena Expo organizer: “EAE is the main meeting place for the gambling industry in Central and Eastern Europe” - Casino Inside - The gambling industry magazine! We propose a preview of the EAE’s 12th edition which will be held this year between 3-5 September at Romexpo Exhibition Centre, by this interview Anton Vlad, the organizer of this exhibition, traditional in the gambling industry. The main novelty in the 2018 edition is represented by the new hall within the exhibition center, space which shall allow organizers to carry out an event of truly international proportions, starting with this year. First of all, please tell us what are the defining figures (data about the number of stands, the number of visitors, what was the area covered by the exhibition, in square meters, etc.) with which you closed the last year’s EAE edition? What are your conclusions regarding the 2017 edition? Entertainment Arena Expo maintained the rate of growth of the last years, so the 2017 edition saw a new record in terms of exhibition space as well as visitors. The exhibition had a gross exhibition area of 7,552 square meters and hosted the 61 exhibitors’ stands. As far as the number of visitors is concerned, 2,395 entries were registered, as quantified during the three-day exhibition. Of all the visitors, 20.3% were foreigners, their main countries of origin being Bulgaria, UK, Poland, Italy and Serbia. What is the novelty Entertainment Arena Expo will bring this year? At the 12th EAE edition, the main novelty is the new hall in the exhibition center, namely a space that would allow us to host a truly international event from this year onward. Although the feeling was by far one of the most animated for this type of European event so far, the lack of infrastructure was the main shortcoming before this edition. The new hall is equipped with modern facilities and we, as organizers, as well as the exhibitors are now able to enjoy an appropriate space, one EAE has been waiting for many years. What sectors do you think will see the most important growth at the 2018 EAE edition? The land-base gambling sector remains the most important in terms of evolution, followed, obviously, by the online sector. However, I do not think there is any sector without growth as the exhibition also implied the consolidation of the sectors represented on the betting market and of those providing for related services and components. EAE is the main meeting place for the gambling industry in Central and Eastern Europe. This was the goal established a while ago and implemented at the previous editions. This year’s edition will confirm and consolidate this position of the exhibition in Romania, primarily through the exhibition area, which reached almost 12,000 gross square meters. 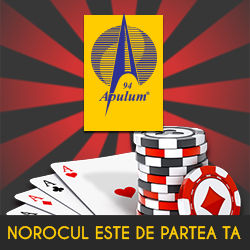 What is your take on the current situation of the Romanian gambling market? It is an active market with continuous growth. Besides, at the EAE you can sense the presence of large crowds of exhibitors and of the most varied exhibition parts, which are both self-explanatory. What are the goals of Entertainment Arena Expo for the next 5 years? Since the previous editions, we noticed, based on the exhibitors’ statements, that many visitors were discussing not only business or partnerships in Romania, but also potential collaborations for this entire area. Following all the EAE developments, the established goal is the consolidation of the leader position in Central and Eastern Europe by increasing the exhibition area and attracting large numbers of foreign visitors.